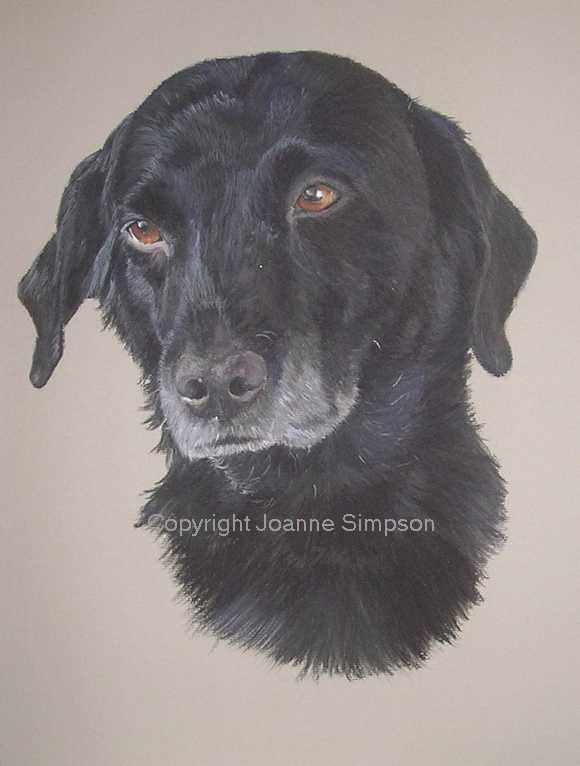 This is Ruby, a gorgeous Black Labrador. On the photo that I worked from there was quite alot of light shining on the left, as you look at her, so that parts looked white. I had to tone this down but keep in the detail. Her owner sent me a large selection of photos to choose from. I chose this pose as I knew that the final portrait was to be a focal point in a room and thought her looking down slightly would be quite nice.